Ottawa City Councillors are sharing their highs and lows of riding public transit for an entire week. It was part of the Transit Challenge, organized by transit advocacy group Free Transit Ottawa. 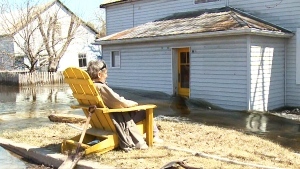 "It was an eye-opener for me," said Gloucestor-South Nepean Councillor Carol Anne Meehan. "There were bus transfers, it was going to be an hour-and-a-half, so I took the car, so I didn't really flunk it, the system flunked it." "By day 3, one didn't show up so I ended up having to call ride share, I had no choice," said Somerset Councillor Catherine McKenney. "Our transit is not affordable for everyone, I would like to see some reductions or at least a freeze." One of the organizers of the Transit Challenge, Kirstin Pulles, says she was overwhelmed by the response from councillors, but dissappointed some chose not to take part. "They are saying the transit system is ineffective and doesn't work for them, and is insufficient service to meet the needs of a busy person, and our city is full of busy people,"
"Denying the challenge is just underscoring that it's really hard to rely on the system." "There are three things we are asking for, first is a freeze of all fares," said Pulles. "The service is not good enough to be raising costs, we're seeing a drop in ridership and it just doesn't make sense, you don't raise the price on something that isn't working for people." Pulles says the group is also asking for a pilot project for free transit, as well as creating task force made up of drivers, riders and city representatives. Following the week of travelling using entirely public transit, councillors are considering changes to improve the system. "This challenge can't mean nothing, it must mean something," said Capital Ward Councillor Shawn Menard said. "Our fares are some of the highest in North America, there is something not adding up here and I expect you'll see motions at council to address these sorts of things." Menard campaigned on a proposal for free transit, something Free Transit Ottawa is also asking for. Transit Commission Chair Allan Hubley says there's no such thing as free transit. "I'm not going out to them [constituents] and saying we're going to double your tax bill because a couple councillors want free transit," said Hubley. "Then we're giving up all the investment we're making to improve the system, if we make it free, it's going to be a shell of what it is today." Meanwhile tomorrow there will be an update on the LRT, where RIdeau Transit Group will speak publicly for the first time.